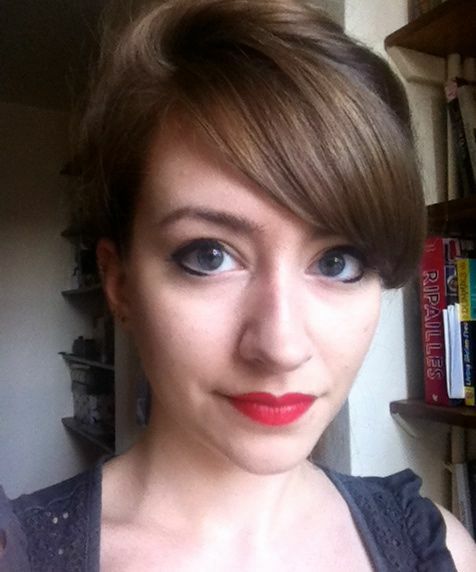 I came across Rockalily lipsticks while reading another blog. It’s owned by ReeRee Rockette, who started up and ran this independent lipstick brand – truly inspirational. Unfortunately for me and many other devotees out there, ReeRee has recently decided to shut her cosmetic business down to focus on setting up a hair salon. Within hours of announcing this she’d sold out all of her shades apart from one as she was besieged by panic buyers (I’ll admit I was among them), but my personal favourite Hot Rod Red remains at the time of writing this today in stock. Why is this red not as popular as the others in her range? Probably because the website states this suits ‘olive skins and darker skins beautifully’ – being a UK-based brand, there are probably many pale customers of ReeRee’s that wrote it off immediately. Hot Rod Red is orange-based, but it is not an orange red. The above picture shows it next to a red I do think you’d call an orange red, So Chaud by Mac. You can see the Rockalily lipstick is more pink than orange. 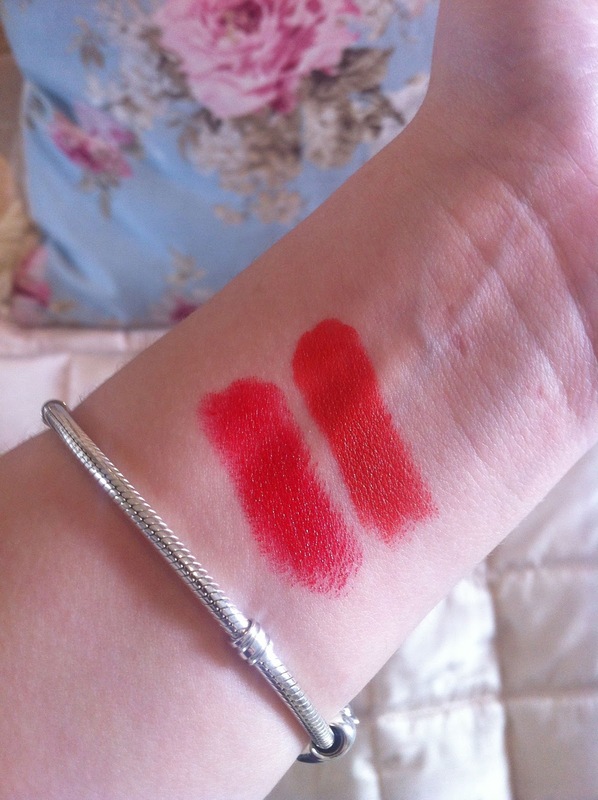 Both lipsticks suit me but look very different on. 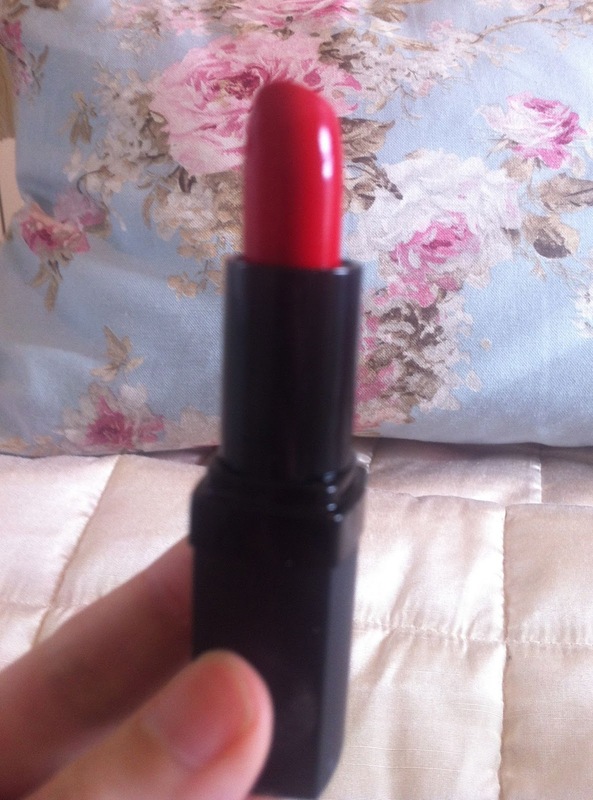 I’d definitely recommend anyone who’s struggled with other reds to give it a go – it’s worth noting that most reds you find in standard lipstick ranges in the UK tend to be blue-based.